SAMI runs a micro gearmotor precisely using PID control with RPM and position feedback over I2C. Everything is already on board!!! 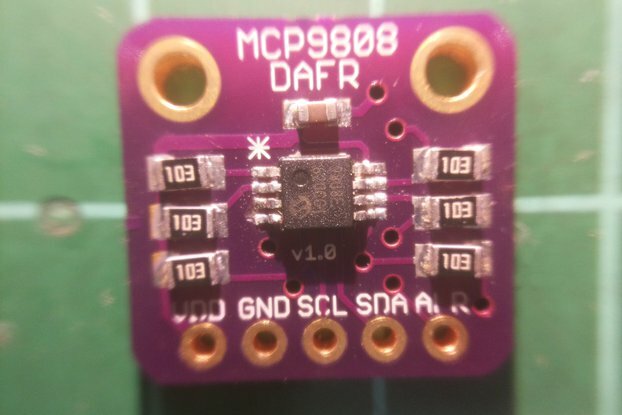 This is the Smart Motor Driver (aka SAMI) designed to run a micro gearmotor, the objective of this board is to be able to implement a PID control easily over this motors with the corresponding RPM feedback using a hall effect sensor. So it has his own microcontroller and H bridge on board to be capable of do the work by itself. 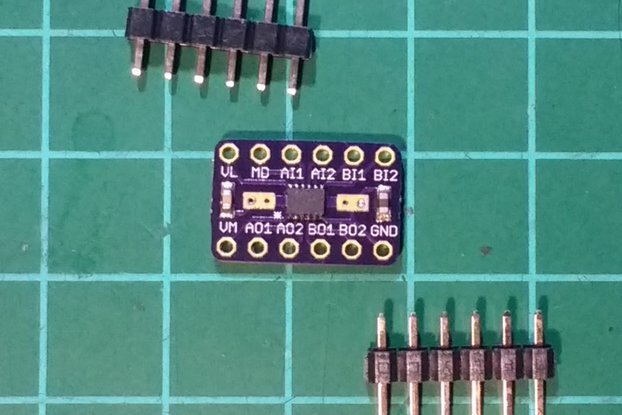 The host microcontroller (or any system that can use I2C) communicates by I2C in order to give the commands to the smart driver module, this includes speed and direction of the motor. The module will automatically implement the PID to maintain the speed and apply more/less power dynamically in the motor to archive that. Also the control module is capable of driving the motor for a desired distance or angle and then stop when is reached. For doing that you must specify the diameter of your wheel and the gearbox relation. To sense the speed of the motor I used a magnetic encoder disk, it is polarized along the surface of the disk. So the hall effect sensor can detect the changes in the magnetic field of the disk and send the signal to the microcontroller. Then using the timer and interrupts we will calculate the RPM of the motor in second plane, so the microcontroller is free to run a PID control algorithm and handle the communication with the host. The main idea is to use it in robotics, so by using this modules to control the wheels of the robot it can be possible to make precise movements no matter the surface , the battery charge or even if the robot changes its weight!!! Also it protects the gears from stripping due to a sudden acceleration or braking and will avoid the battery to trip the protection circuit caused by a current rush. So your precious motors will be safe! An Arduino library is available for easy use of SAMI, and you can plug a lot of motors fast and easy. 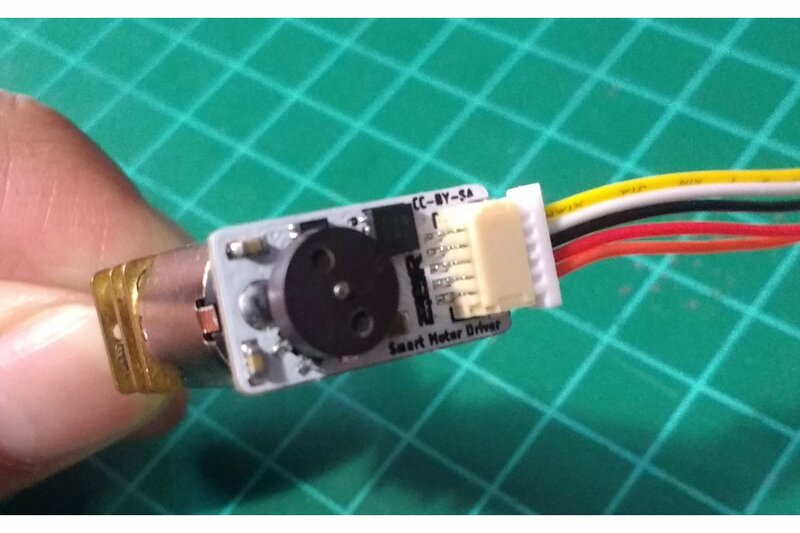 Simple installation at the back of a micro DC motor. 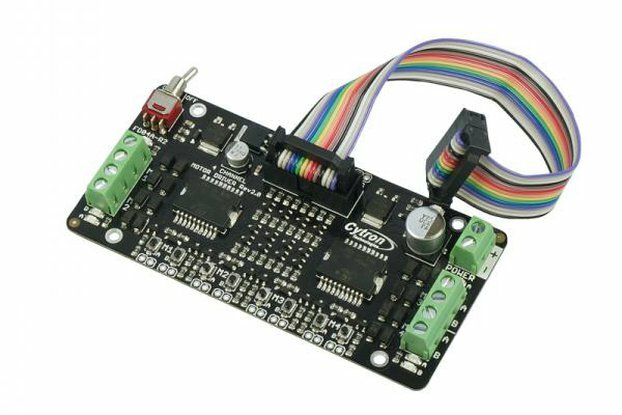 Can control speed and direction of a motor. Stops automatically when distance or angle is reached. 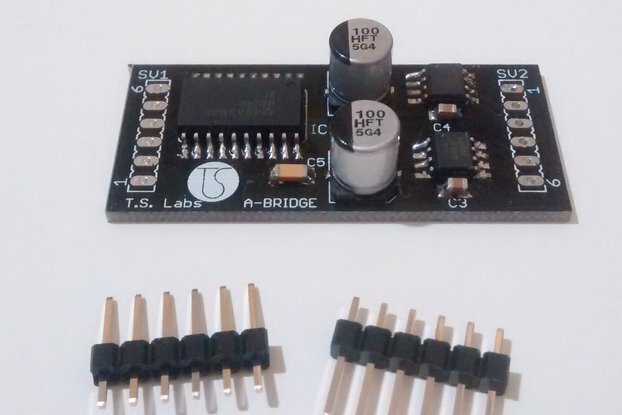 Multiple control modes, including simple PWM or PID with or without auto-stop. Plus a safe direction toggle option. Works over I2C. The address can be changed by software. 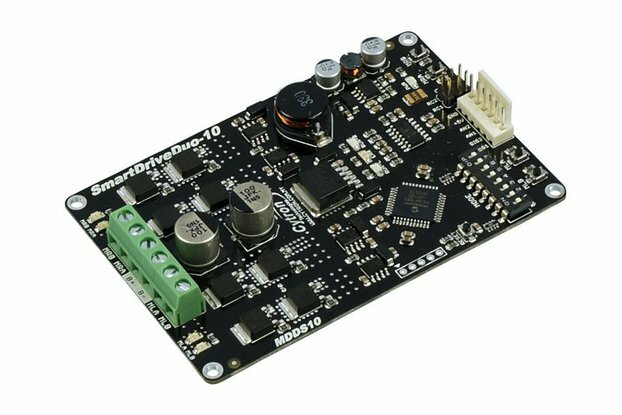 Control a lot of motors, up to 128 modules can be in the same single I2C bus. Internal pull-ups for I2C can be enabled/disabled by software. Configurations can be saved on EEPROM. Read the actual speed of the motor and check if a fail happens. Easy to use high precision motor control. Motor voltage up to 11v. Maximum motor continuous current as high as 1.7A and 1.8A peak. Default I2C address is 0x24. Protection against overcurrent and overtemperature. 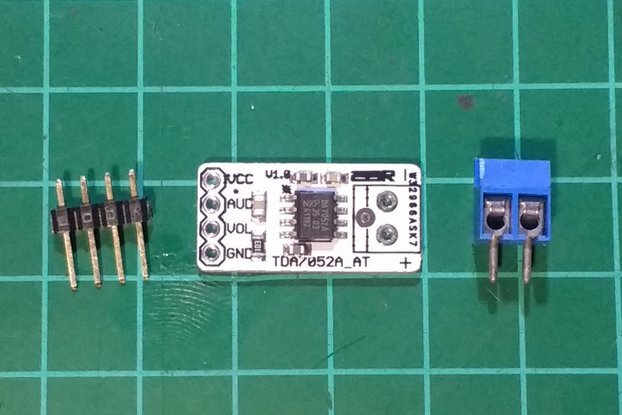 To RESET default I2C address connect MCLR pad to GND at power up. Standart 1mm 5 pin JST connector. Built in motor speed feedback. Highly responsive PID control to keep motor speed constant. Avoid abrupt current peaks that can damage your power supply or battery. Automatically stops at desired travel distance or angle if specified. Powerful navigation solution for robots when combined with other sensors like an IMU. For full details, motor requirements and installation instructions please visit Hackaday Project Page and Instructables Setup Guide. Includes the controller board, a magnetic encoder disk and 10 cm JST cable. Motor not included. This product requires a motor with and extended shaft in order to allow installation of the encoder disk. You can find compatible motors with this product on Pololu. Keep in mind that this is a beta version, some bugs may be present! New firmware may be released, we highly recommend to follow the repository to get the new updates. You will need a pic ICSP programmer to upload the new firmware. This will ship using registered air mail, usually arrives in 15-40 days. Tracking code is included.